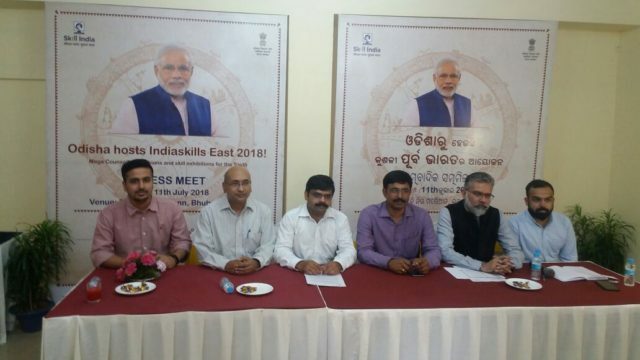 Bhubaneswar: Ministry of Skill Development and Entrepreneurship (MSDE) along with National Skill Development Corporation (NSDC), today announced the launch of IndiaSkills Regional Competitions (East) 2018 in Bhubaneswar. The event will be organized at Siksha ‘O’ Anusandhan University, near SUM Hospital from 15th to 17th July 2018. The three-day event will also witness mega counselling camp by professional counsellors, 50+ exhibitions by Sector Skill Councils, Pradhan Mantri KaushalKendras and other technology partners, along with conference and seminars with different stakeholders in the skill ecosystem. On the Occasion of 4th World Youth Skills Day and 3rd Anniversary of National Skill Development Mission on 15th July 2018 at 2:30 PM, Shri Dharmendra Pradhan, Minister for Petroleum & Natural Gas and Minister of Skill Development and Entrepreneurship, Government of India, will inaugurate and declare open IndiaSkills Regional Competitions (East) 2018. Several other initiatives such as Recognition of Prior Learning with Best-in-Class employers, new framework for Apprenticeship training, guidelines for training-of-trainers and training-of-assessors among others, will be launched during the event. On the 16th July, the Honorable Union Minister, in the august presence of other dignitaries including Hon’ble Minister of Planning and Convergence, Skill Development & Technical Education, Hon’ble Member of Parliament, local MLA, would lay the foundation stone of National Skill Training Institute (NSTI) Bhubaneswar at Barang near Bhubaneswar. NSTI Bhubaneswar would be the first green field Institute in the country which would many variety of hybrid skill training programmes both long term, short term and advance diploma type programmes. NSTI would provide training in Systems Applications Products (SAP), Internet of things ( IoT) – Smart Cities, Health Care and Agriculture, Mobile Repairing, Solar Technician and Technician Mechatronics, Advance Diploma in IT Networking and Cloud Computing, Training of Trainers (ToT) in Pedagogy for Sector Skill Councils, ToT for Conventional Courses – Fitter, Electrician, Plumbing and Welding etc. 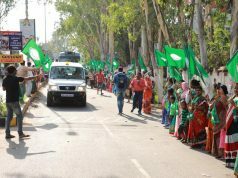 While the Government of Odisha has provided 5 acres of land free of cost for the purpose, the entire expenditure on account of Campus construction, labs, class rooms, hostel, equipment etc would be incurred by MSDE. This would be a Departmental Institute to be run by MSDE. IndiaSkills Regional Competition (East) 2018 is the last of the four such regional competitions organized across India this year. For the first time 21 states collaborated with MSDE and NSDC to organized 500+ district and state level skill competitions which mobilized 50,000 youth across the country. 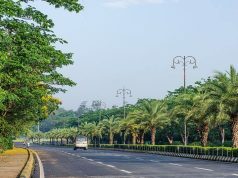 The three-day skill competition in Bhubaneswar will witness 250+ competitors from 23 states, with majority of them from 7 eastern states (Odisha, Bihar, Assam, Nagaland, Tripura, Jharkhand and Meghalaya), competing across 27 skills/trades. The winners from all the four regional competitions will compete in a National Competition scheduled in Delhi from 2nd to 5th October 2018. The winners at the National Competition will undergo intensive industry training and get a chance to represent India at WorldSkills International Competition scheduled in Kazan, Russia in August 2019. NSDC started leading India’s participation at these bi-annual competitions since 2011. From no medal in 2011, India won 1 silver, 1 bronze and 9 medallions of excellence at the last WorldSkills 2017 organized in Abu Dhabi. India also stood 19th among 59 countries, ahead of many developed nations who participated at this competition. Shri Jaikant Singh, Senior Head, State Engagement & PMKVY – STT, NSDC, GauravKapoor, Senior Head, Industry Partnership, Sankalp& Communication, NSDC and RanjanChoudhury, Head WorldSkills India briefed the media today on the above upcoming event in Bhubaneswar.